When you’re shopping for new furniture for your home, saving money is among the most important things to consider, especially if you have to get items for multiple rooms instead of only a few pieces at a time. As you’re shopping at a furniture store in Chandler AZ, consider the sale prices as well as the clearance prices before making a final selection about what you’re going to get. It’s sometimes better to wait a few weeks for the clearance price to show up in the store instead of getting items that are on sale. Most stores have the best sales at the end of the year so that they can make room for the new items for the sales floor. You can sometimes get discounts on display models if there is only one item left in the store instead of paying the full price. 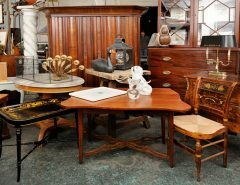 If you want to avoid furniture stores, then consider secondhand shops. You can find pieces that you can refurbish or pieces that offer the beauty and character that you want for the home without spending a lot of money. 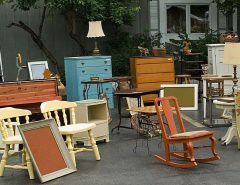 Garage sales and flea markets are also good places to look for furniture if you don’t want to spend a lot of money or if you want to find something that retail stores might not have at the time. When you’re in the furniture store, talk to the sale staff about everything from the fabrics to the dimensions of the pieces you’re interested in buying. If they see that you understand what you’re looking for and that you won’t settle for anything less, then you can use this leverage to get better deals on items that are full-price. Consider buying multiple items at the same time because large orders can often result in a discount at most stores.